The convertible Peugeot 307 CC is a slickly put together and well equipped package. It is a top seller in its class despite being more expensive than many of its rivals. The folding hard top works well and despite Peugeot’s early reliability problems it now seems problem free. It does add weight to the car but most owners prefer the convenience it brings. Compared to the smaller 206 and 207 CCs the cabin is much more roomy and the back seats can be used by adults. The CC’s ride and handling are good on the open road and though sportier than the 307 hatch, is less impressive in the twisty stuff. But then this is a car for crusing in the sunshine rather than for breaking track records. Like many hardtop convertibles it has love-it or hate-it styling and very generous levels of equipment. 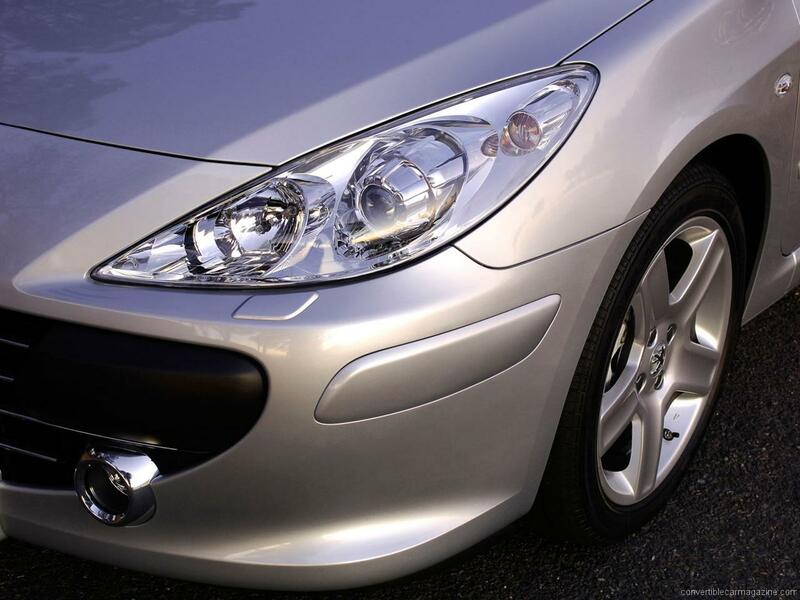 The Peugeot 307 CC was replaced in May 2009 by the new Peugeot 308 CC. The 1.6 litre powered Peugeot 307 CC was the base model but standard equipment levels are generous making it feel great value for money. The less powerful engine suits the car well and doesn't feel like it's dragging its heals. Fuel economy is reasonable too although the latest new cars make it look less impressive. 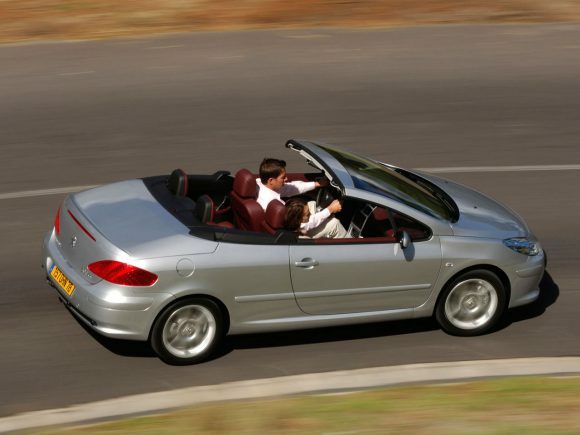 Peugeot's 2 litre 307 Coupé Cabriolet provides plenty of power for this four seat convertible. Economy remains reasonable (although lagging behind modern engines) and it is enjoyable to drive. Don't expect sports car dynamics and you won't be disappointed. 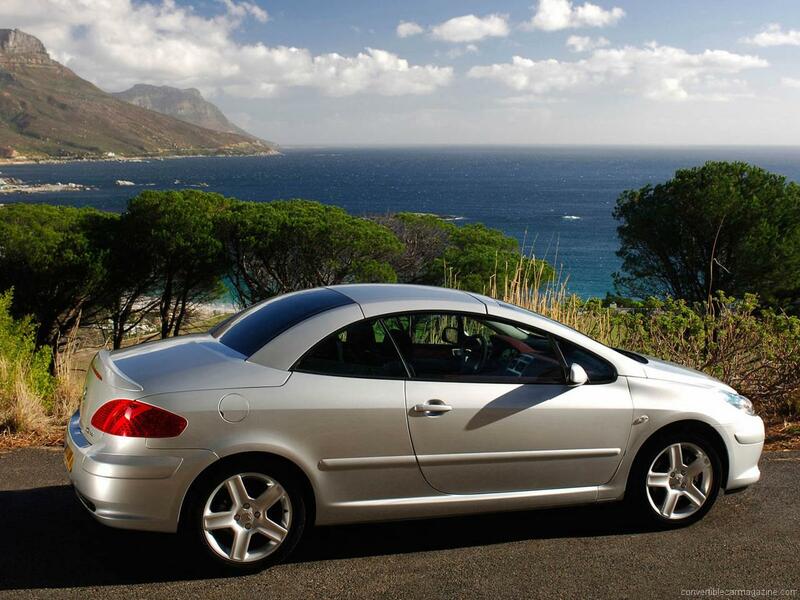 Do you drive a Peugeot 307 CC? Would you recommend it to others? Join the conversation and let us know what you think of the car. This Peugeot currently has 5 owner reviews. I have recently bought a 07 plate for just over £6,000 in 2011. It is a good-looker with the roof down and the leather seating is super. It is not a sports car! So please don’t think of it in that manner. It is sluggish in the normal twists and bends of driving but for cruising on the free road or motorways, it is excellent. I get almost 35 MPG combined with 1.6 petrol, so not sure how the dealers get 37 MPG as I was very limited with the use of Air Con etc. The MP 3 player and 5 CD are useful as well as the automatics of lights, and wipers. I am happy with the purchase should be fun to drive in the summer. I’ve just bought one of these 307’s and find it pretty-well what I hoped. I have as my main car a decent Jag so I’ll not be frustrated by lack of performance!. 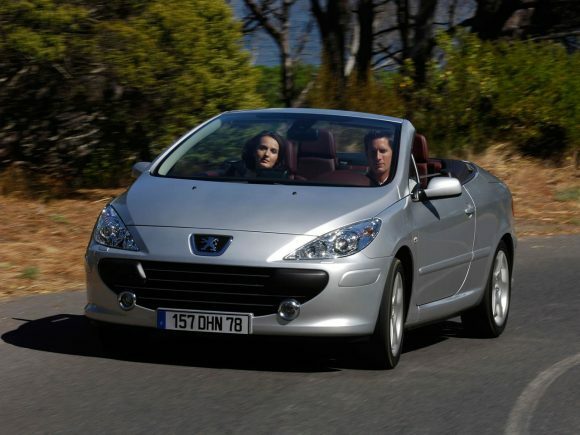 The Peugeot is a nice looking car, comfortable and satisfying if all one wants is an easy drive with the top down on sunny days. That is all I looked for in a convertible – press the button and presto – lots of infra red and ultra violet rays to absorb. Although a Violet I once knew did offer something a little different…….. 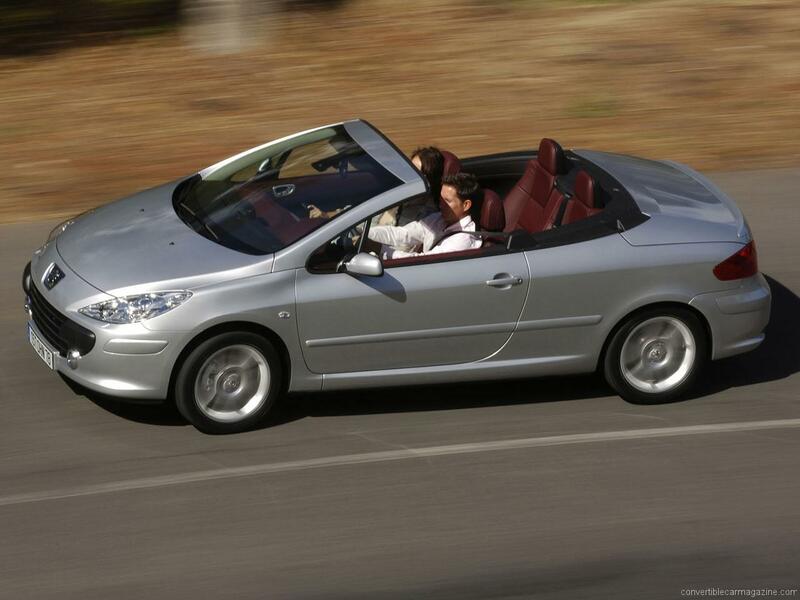 I have a 2004 307 2 ltr Convertible. 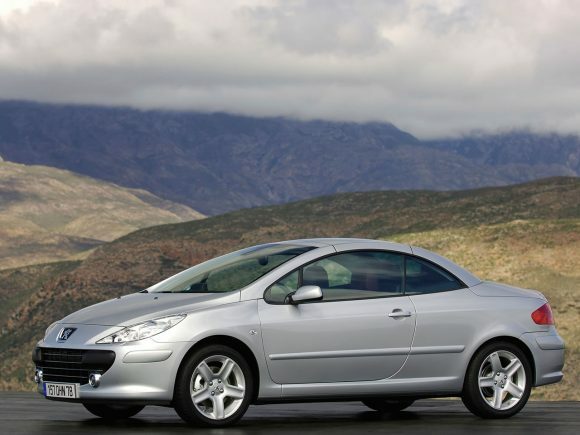 please how can i get the glass engine winner for Peugeot 307 coupe convertible new model? Did you ever get it back on the road?